I'm Paul Taylor and this page reveals my own hair loss story and how some simple techniques changed my life and saved my hair. Get up, check the pillow for hair (maybe even count them!) then look in the mirror: "How’s my hair looking?" So, in other words, as soon as I woke up, the first thing I thought about was my hair! I would shower and then wash my hair with some kind of fancy "this-will-definitely-grow-your-hair-back" type of shampoo. I tried all sorts of different brands and formulations that promised to reverse hair loss and grow my hair back. * Note: you can't actually wash your hair away. The truth is, only hair that’s weak and ready to fall out anyway will do so. Anyway, I had one of those plughole protectors that collect all the hair and stop it from clogging up (a pretty neat gadget by the way). As my hair loss developed, I began losing dozens of hairs every day when I washed it. And when it was at its worst, I lost as many as 300 hairs in a single wash! This was something that put me into a state of shock! My day would then continue in much the same, almost neurotic way - that's how much it tormented me! Frankly, I'm embarrassed to drag you through the entire day I used to have. But you get the point, right? I had become obsessed by this insidious "disease". Pretty sad, I know, but that's just how much it affected me (and I’m sure hair loss affects many others in exactly the same way). Get up, immediately think about my hair again (nothing new there then!) but I then performed some simple techniques which I knew were helping me restore strong, healthy hair growth. I would then shower (and wash my hair at the same time), towel dry my hair, flick a comb through it, and that's it. All done! I’d then simply get on with my life, secure in the knowledge that I was doing something extremely positive at last, and so didn't need to give my hair any more thought. Basically what I’m saying here is that, whilst my hair loss used to pester me throughout each and every day, suddenly I found myself living my life like I used to before hair loss had first "infected" me. I could even concentrate better – I’d be thinking more clearly, whereas before, thoughts about hair loss would keep popping up and dwell on my mind. I know all this must sound pretty pathetic, but it's just the way it was! Even though I’d only just started using these techniques, they had already changed my mindset from being negative to positive. Very soon, I noticed a decrease in the rate of hair loss. And within a few months, I realized that my hair was also getting thicker and starting to regrow in previous areas of loss (which was basically everywhere by that stage). I realized these techniques really could reverse hair loss. And that, if I kept using them, I would be able to restore my hair growth completely naturally. Recovery of my hair continued, and as a result, today I enjoy a healthy head of hair again (as you can see from the photo). I’m also totally free from the stress that hair loss had, quite clearly, caused me. Make no mistake, hair loss is a horrible condition to have. It just seems to keep getting relentlessly worse and worse. 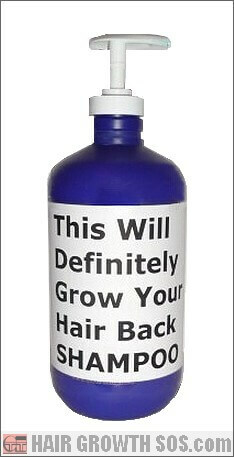 So much so in fact that, to reverse hair loss and stimulate hair regrowth sometimes seems impossible to believe. And for me, hair loss drugs and transplants were never an option - I've always believed that a natural problem should have a natural solution. That’s why I spent seven years studying androgenetic alopecia and developing my own hair loss solution. During this time, my hair loss rapidly progressed - receding temples followed by thinning at the crown and back of my head. But eventually I managed to find the solution I was looking for. And by using these simple techniques, I managed to completely reverse hair loss, regrow healthy hair again and keep it ever since. So, for both men and women, hair loss can be reversed. By applying the same techniques I used, I believe you too can keep the hair you have, and regrow hair you’ve lost. Learn how to reverse hair loss. "I have already started to see some new growth and thickening after 7 weeks. Thanks."